Adele, the queen of torch songs and an epic singer who has the ability to make everyone tear up during a mere SNL performance, is coming to the Staples Center so you can sing along and cry to her music in person. The 27-year-old singer&apos;s North American tour was announced today. It kicks off on July 5 in St. Paul, Minn. and ends on Nov. 15 in Mexico City. And during that time, she&apos;ll be making a six-show stop at Los Angeles&apos; Staples Center on Aug. 5, 6, 9, 10, 12 and 13. That&apos;s one more performance than when Taylor Swift made her rounds through the downtown L.A. venue over the summer, bringing along some of her star-studded guests (#squadgoals). 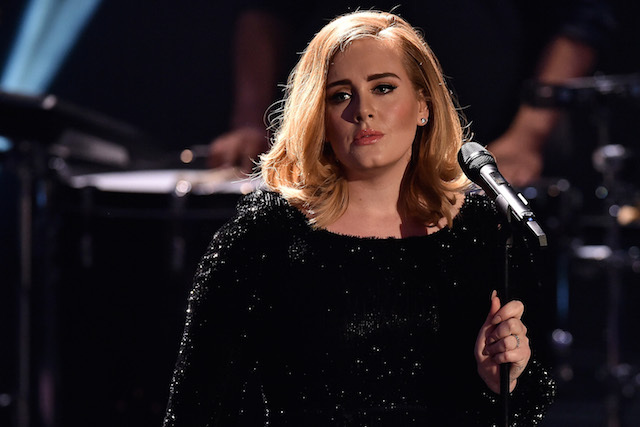 Adele&apos;s recently released album, 25, has already sold more than 5 million copies and broken records, including N*Sync&apos;s first-week album sales for No Strings Attached, according to Rolling Stone. Her songs, which some LAist staffers are calling "crossover mom music," have even inspired think pieces on how and why Adele&apos;s music got so popular, more so than everybody else. Tickets go on sale this Thursday, Dec. 17 at 10 a.m. PST. More info can be found here.